Recently listed by Limelight magazine as a Rising Star in Australia’s choral scene, Anthony Pasquill is a regular collaborator with leading choirs across a broad repertoire. Having recently served as the Associate Chorus Master with the Melbourne Symphony Orchestra, he is the Artistic and Musical Director of Sydney based Chamber Choir Bel a cappella and Director of Music at St. John's Anglican Church, Dee Why. Anthony commenced his musical training as a chorister in the choir of Lichfield Cathedral before reading music at Leeds University. He also holds a Master of Music in conducting from the Sydney Conservatorium of Music. 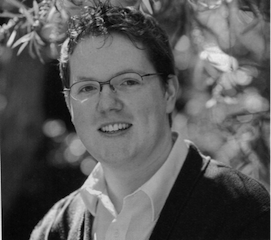 Between 2012 and 2014 Anthony was Assistant Chorus Master of the Sydney Philharmonia Choirs, with whom he made his choral and orchestral conducting debuts at the Sydney Opera House and has prepared choruses for notes international conductors such as Vladimir Ashkenazy, David Robertson, David Zinman, Eric Whitacre, Paul McCreesh, Bramwell Tovey and Sir Andrew Davis. He has also worked alongside many Sydney-based ensembles including Lurline Chamber Orchestra, Acacia Quartet, the choirs of Sydney Philharmonia and the Sydney Symphony Orchestra for their schools concerts, Playerlink in Wagga Wagga and regional tour to Bathurst, Orange and Dubbo. As a chorus master, Anthony has prepared Mendelssohn’s Elijah, Britten’s War Requiem, Rachmaninov’s Vespers, Rautavaara’s Missa, Tchaikovsky’s Queen of Spades, Britten’s St Nicolas, Orff’s Carmina Burana, Mozart’s Requiem, Poulenc’s Gloria, Verdi’s Messa di Requiem, Wagner’s Der fliegende Holländer and both Handel’s Semele and works by Ligeti as part of the 2013 Sydney Festival, both to critical acclaim with the Sydney Philharmonia. As Associate Chorus Master of the Melbourne Symphony Orchestra he has prepared Fauré's Requiem, Beethoven's Missa Solemnis, Vaughan Williams' Serenade to Music, the debut season of the Australian BBC Proms and was both Chorus Master and second conductor for the first Australian performance of Charles Ives' Symphony No. 4 in Hamer Hall which has been released on Chandos Records to critical acclaim. With Bel a cappella he has conducted Howells’ Requiem, Britten’s A Boy Was Born, Frank Martin’s Mass, Tarik O’Regan’s Threshold of Night, Lauridsen’s Nocturnes and Australian premieres of Dyson’s Hierusalem, Vasks’ Missa, Gabriel Jackson’s Edinburgh Mass and In the Beginning, David Briggs' Messe pour Notre-Dame, Bernat Vivancos' Messe aux sons des cloches, Thomas Jennefelt's Dixit Dominus, Sir John Tavener's Unto the End of the World, Galina Grigorjeva's On Leaving and In Paradisum, Tõnu Kõrvits' Peegeldused tasasest maast, Caroline Shaw’s To the Hands and the World Premiere of Bernat Vivancos' Obriu-me els llavis, Senyor in the crypt of St Mary's Cathedral, Sydney. He has recently led Bel a cappella on their first international tour to Europe, having conducted in venues such as St. Peter’s Basilica (Rome), St Mark’s Basilica (Venice), Melk Abbey (Vienna) and the Schönbrunn Palace (Vienna). In 2018 he lead the choir back on tour to Europe and conducted Bel in Berlin, Leipzig, Prague, Dresden, Hodonin, Budapest and Krakow.